The radio first arrived at Rupert House in 1922 and the first transmission was received form Presbyterian Reverend Hugh Kerr from Pittsburgh. The radio first arrived at Rupert House in 1922 and the first transmission was received form Presbyterian Reverend Hugh Kerr from Pittsburgh. The confirmation from Watt arrived by dogsled a month later. Reception was bad and most often the radio didn’t work. It was only in 1938 that a two-way station was established by the Catholics at Fort George (Morantz, 2002). Bush plane travel picked up towards the end of the 1930s, greatly reducing travel to and from the posts. The first electric light at Rupert Housed arrived for Christmas at the Anglican Church. 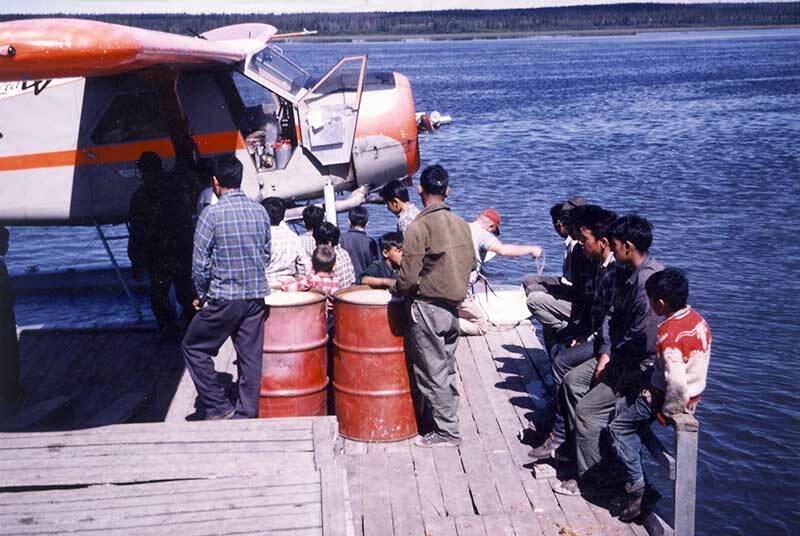 With the beaver harvesting opened once again in late 1930s, federal agents began to impose harvesting quotas which created conflicts with the Cree hunting practices. Cree hunters maintained their own system of tenure (family traplines) and self-governance even if it often clashed with those of the Agents which followed ‘trends in the number of lodges’ (Feit, 1995). The federal government eventually imposed Indian Act legislation in Cree territory beginning in 1940s by sending Agents to establish band lists, band government structure and Chief and Council elections. It was also at this time that a majority of Cree children were taken to Indian Residential Schools, mainly in Fort George but also in Amos and La Tuque (Feit, 1995). The first elected Chief at Rupert House was Frank Moar in 1947. In terms of paid income, Rupert House was one of the biggest posts and therefore employed more Cree than others, mainly for in the canoe brigades with took and brought back supplies and fur from inland posts. In 1929 tractors were making regular trips with freight from Rupert House to Nemiskau. This took place in the winter and Cree were employed to maintain winter roads and trails. With more and more non-Cree coming into the region, mostly for mining prospecting and to build the Canadian National Railroad, significant impact on game population ensued. Partly as a consequence of the slowdown of the fur trade after WWII, more Crees began to seek paid employment. For the Waskaganish Cree, the canoe factory established by Watts in 1923, remained a source of employment well into the 1960s. Since its establishment the factory about 900 canoes were build at Waskaganish. 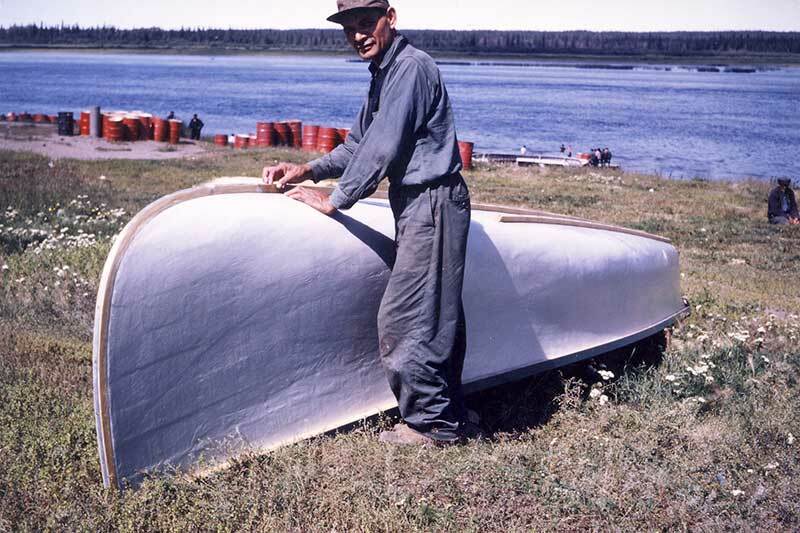 By 1950s outboard motors became available requiring change in construction of the canoes, nevertheless production was maintained at about two canoes per week, worth between $138 and $375 (Morantz, 2002). After WWII the federal government and the Anglican mission began investing in the community expansion. Housing, a new Church, a community hall, a freezer facility and a school were among the most important elements of the construction boom in the community. Many families also contributed financially to the community hall and built a memorial to James Watt (Morantz, 2002). Preston, Richard J. Cree Narrative, Expressing the Personal Meaning of Events (Second Edition). Montreal: McGill-Queen's University Press, 2002. Feit, Harvey. 2005. "Re-Cognizing Co-Management as Co-Governance: Histories and Visions of Conservation at James Bay." Anthropologica. 47 (2): 267-288.